Playing around waist for Spring/Summer 2016 season. If there is one area designers want us to accentuate all our attention on throughout this season, then it's all about our feminine waists. In other words, Spring/Summer season is just the right time to wrap ourselves in a pretty much fashionable wrapping, ladies. In general terms, paper bag waist is all about a special cut and belt kind of thing. It doesn't only implement high waist, but also adds that special twist to your body shape in visual terms. Looking for a runway inspiration? 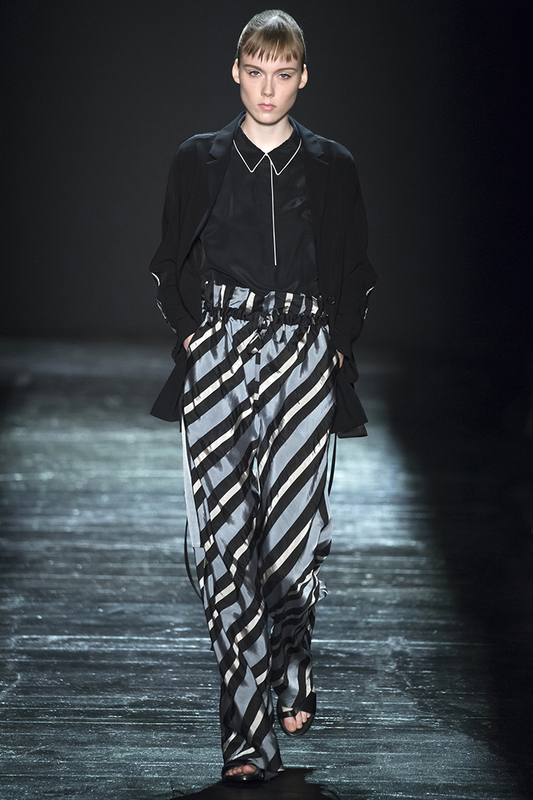 Then you should definitely pay attention to seasonal collections of 3.1 Phillip Lim, Public School and Tome. Thinking paper bag waist is no way a feminine kind of thing? Well, one of these seasonal skirts is definitely going to make you change your mind. While lengths vary from mini straight to midi and maxi, styles go all the way from wrap to A-line and a la pencil. There's no proper Summer without shorts, right? And there are no shorts without proper seasonal element. In this case - paper bag waist. Looks like shorts are aiming to go all the way up reaching our waists. And we have nothing against that. At all. This option goes to all serious pants lovers. Just in case you like this elongated legs look and high waist thing, you'll definitely find yourself falling for pants with paper bag waist. Don't you also forget about cropped options. 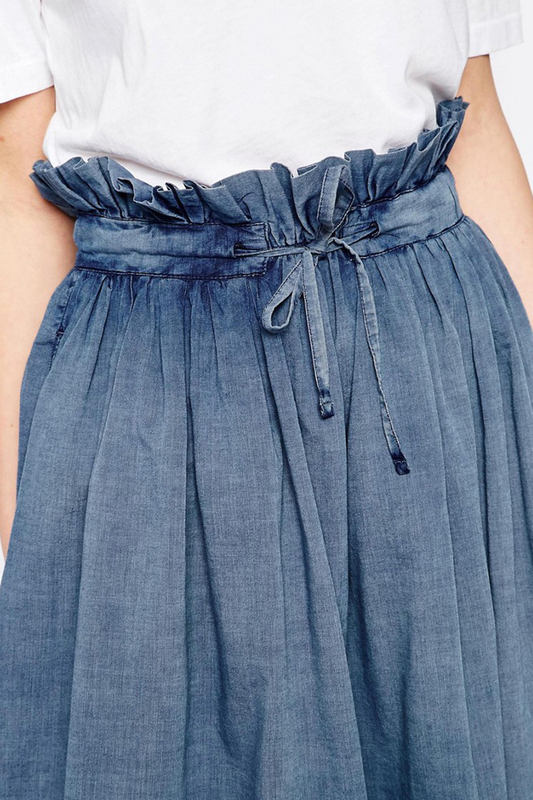 Because an additional twist around waist is always a good idea, isn't it?